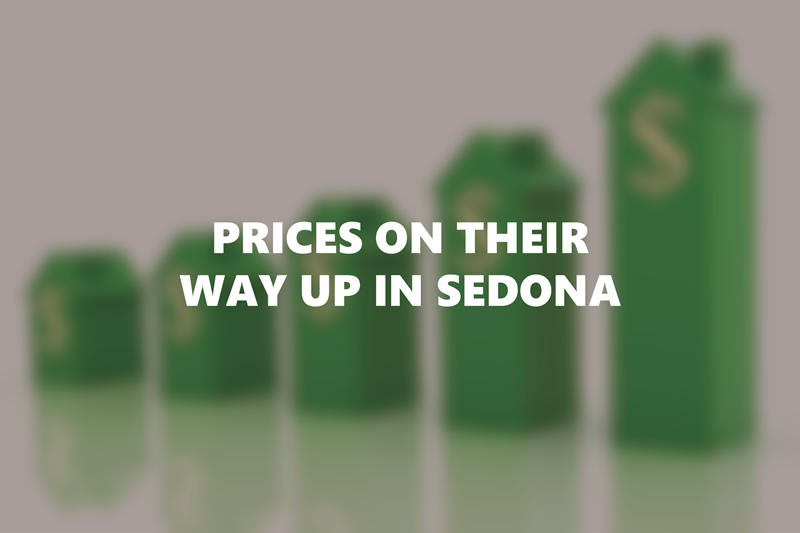 If you have been planning on buying or selling property in Sedona, this is your time to do it. Residential prices have been going up consistently over the last year and market statistics of January indicate that they should continue to do so, at least in the short term. 1.- Median Residential Sales Price was up a whooping 27% in January 2017 versus same time year ago. This is a continuation trend from last year, when prices climbed 14.9% versus previous 2015. Median Price means that 50% of the sold homes were above this number and 50% below it. 2.- “Median Cumulative Days on the Market (CDOM)” was down -29%. This means properties are selling faster at 105 days, that’s roughly 3.5 months. 3.- The number of “Active Listings” in the “Under $500K” pricing range was also down -20%, while total number of active listings was down -13.8%. This means that there are fewer properties for sale in the market than last year, which according to offer-demand rules can only make prices go up. 4.- The positive economic sentiment by Americans is trickling over to housing market attitudes. Over 29% of those surveyed said it was a good time to buy. Gallup reports its Economic Confidence Index hit a new high in January, reaching its highest monthly average in 9 years. The labor market continues to show strength, with jobless claims hitting a 43-year low this week. If you believe the inventory shortage will make prices go up in the next several months and think this is a good time to sell or buy, then please call or text me and I will be happy to discuss a plan with you — 928.821.8552.